If you’re looking for sentimentality, you won’t find it in The Collected Stories of Carol Wobig. Channeling the work of Elizabeth Strout, Alice Munro, and Marilynne Robinson, the Menomonee Falls-based Wobig crafts stories inhabited by calloused, practical, proud Midwestern women. They are teachers and bartenders and nuns with names like Edna, Edith, and Agnes. On top of their own personal struggles, these women have sisters with cancer, sons leading secret lives, and mothers who never let them take piano lessons. And, while they love their friends and family members, they also can’t stand them: “Here we go,” Eunice thinks as her daughter begins to weep over her troubled marriage. “Take off your stupid Packer hat,” Gwen thinks, but won’t say aloud, to her father at the Thanksgiving table. “What nerve,” Marge thinks, when her husband dies before she does. Wobig’s stories are often as concise as her characters’ deadpan one-liners. Readers enter her protagonists’ complicated lives in the midst of things and sometimes exit after just one or two scenes. Though it may leave readers longing for more, the technique imbues her work with a healthy dose of realism—many times the experiences that affect humans for a lifetime do happen in just an instant. Wobig excels at depicting extraordinary moments that occur in the midst of the most ordinary lives: seemingly small decisions like smoking a final cigarette or learning how to drive represent life-changing moments, like learning to accept a child’s shortcomings or processing the death of a loved one. Eight of the sixteen stories (and one one-act play) that comprise this collection were previously published in Wobig’s first book, Poached Is Not an Option, in 2012. But the old stories blend harmoniously with the new to create a rich and cohesive fictional world. Two new standout stories bookend the collection. In “The Piano,” a recent widow named Marge makes plans to end her life, methodically turning a pair of drapes into her funeral dress, until she sees a piano for sale across the street. Wobig returns to Marge in the collection’s ultimate story, “Shoulder to Shoulder,” as she reassesses her role in the lives of her son and daughter and reconsiders her life’s purpose anew. For the women of Wobig’s short fiction, as for so many of us, life is a constant series of reassessments and reconsiderations. 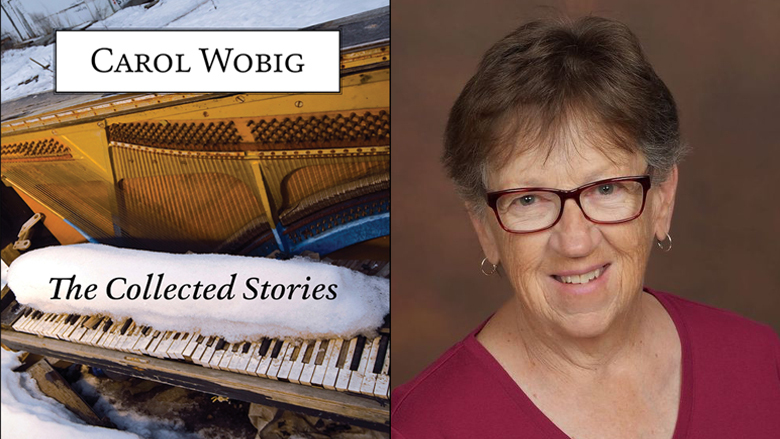 The funny, authentic stories in The Collected Stories of Carol Wobig will leave you feeling as if you’re reading about an aunt, a neighbor, a daughter, or possibly even yourself.